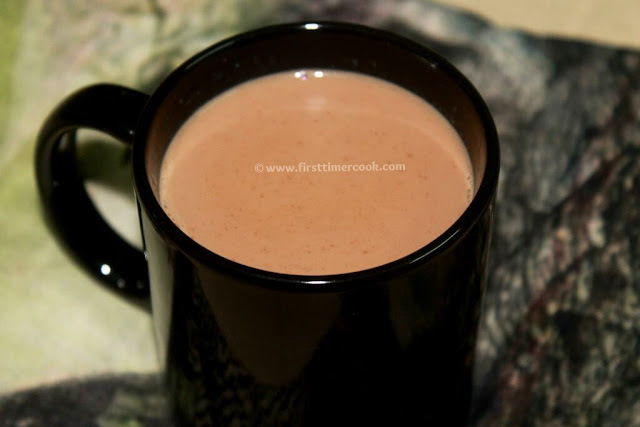 Masala chai is a spiced, sweetened black tea mixed with milk. This is enjoyed by millions in India and also now popular around the world. Chai means simply 'milk tea'. Masala basically means to the combination of spices which often includes cardamom, cinnamon, ginger, cloves & black pepper. Although the masala in powder form is available in supermarkets, but homemade masala are much better. Below is the recipe of my version. Crush the cloves, cardamom pods and cinnamon stick in a mortar / blender finely. Boil water in a saucepan along with ginger, pepper, crushed spices, sugar & tea powder for about 2 to 3 minutes or till the flavors are infused well. Add milk and simmer for 2 to 3 minutes. Color of the tea'll gradually change from milky to brown shade which indicates that the tea is ready. Switch of the flame, strain into tea cup / mug & serve hot ! The quantity of spices can be increased or decreased as desire. Tea made ​on a low flame tastes best. So always try to make tea on low flame.